Thought you could escape the franchises that should never have been made? HA! Saturday morning cartoons pulled out some stinkers. 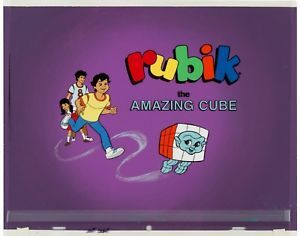 We all know that the Rubik’s Cube was wildly popular in the 80’s; people couldn’t put it down, but it was NEVER popular enough to have a cartoon made of it, right? ABC seemed to think otherwise, and so we got Rubiks Cube the cartoon show. Join us this week as we talk even MORE failed franchises on Talkin’ Bout My Generation!